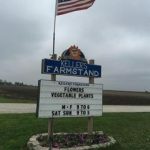 Keller’s Farmstand Naperville location is open! Keller’s Farmstand Naperville location is open! Stop in and say hello. We’ve missed you! The Great Pumpkin Run: Chicago! The Great Pumpkin Run: Chicago! We are hosting The Great Pumpkin Run on September 17th on our Oswego Farm! It’s a 5K trail for anyone who enjoys running or walking. We hope you can join us for a day of fun! For more information please visit www.thegreatpumpkinrun.com. Happy Spring! Naperville Farmstand will open April 20th for the Spring season. 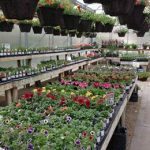 Oswego farmstand will open April 27th.